The UN Security Council’s (UNSC) newest round of sanctions against North Korea includes a provision that could lead to an increase in the amount of squid which South Korean and Japanese fishers can catch in the East Sea, an expert told NK News. UNSC Resolution 2397 prohibits North Korea from selling or transferring its fishing rights, which also prevents Chinese ships from fishing in North Korean waters. Fewer Chinese fishing vessels, in turn, could lead to more squid in South Korea waters, according to Dr. Jung-sam Lee, a researcher at the Korea Maritime Institute. “I expect South Korea’s squid catch in the East Sea to increase from before the UN’s sanctions,” Lee said. The reason, he said, is that squid move from North Korea’s Exclusive Economic Zone (EEZ), an area extending 200 nautical miles from the coast, to the southern East Sea, where South Korean and Japanese fishermen catch fish. Increasing South Korea’s squid catch, however, will also require effective enforcement of the ban on Chinese fishing ships in North Korea’s EEZ, Lee said. He questioned the effectiveness of the Chinese government’s efforts to clamp down on its fishermen, stating that the country has not been transparent about its fishing activities. China has been buying the rights to fish in North Korea’s EEZ since 2004. Lee calculated that 1,268 Chinese ships caught 271,352 tons of fish in North Korea’s East Sea in 2016. The size of the country’s overall squid catch, including squid caught in the East Sea, has increased from 237,000 tons in 2003 to 389,000 tons in 2016, Lee said. In a research paper published in September, Lee wrote that 1,001 Chinese ships had fished in North Korean waters in the East Sea by July 26 of this year. He concluded that Chinese fishing yields in the East Sea during 2017 would likely exceed 2016 amounts by year’s end. South Korea’s squid catch decreased from 233,000 tons in 2003 to 122,000 tons in 2016, Lee wrote in his paper. “South Korean fishermen have been losing their livelihoods because of the decrease in their catches,” Lee wrote, also noting that the retail price for squid in South Korea has skyrocketed. Japan’s squid catch also decreased from 254,000 tons in 2013 to 68,000 tons in 2016. “Whilst some researchers, particularly Japanese researchers, argue that the decrease in the quantity of the squid catch was due to climate change and rising sea temperatures, I believe it was due to the Chinese fishing ships’ overfishing in North Korea’s EEZ in the East Sea,” Lee told NK News. “Climate change influences South Korea, China, and Japan, but only China has overcome climate change’s effect,” he wrote, suggesting that China has achieved this by fishing in North Korea waters. China, he said, overfished in its own waters and is now pursuing a policy of fishing in the EEZs of other countries, including North Korea. A Chinese research paper written in 2003 showed that North Korea’s East Sea has 500,000 tons of squid, Lee said. The average size of squid in the East Sea is 300 to 500 grams, which is at least three times larger than those caught in China’s EEZ. “Such advantages seem to have been attractive to China,” Lee said. China’s five-year strategy for managing its national fisheries went into effect in 2016 and plans to reduce fishing in its own EEZ to less than 10 million tons annually. 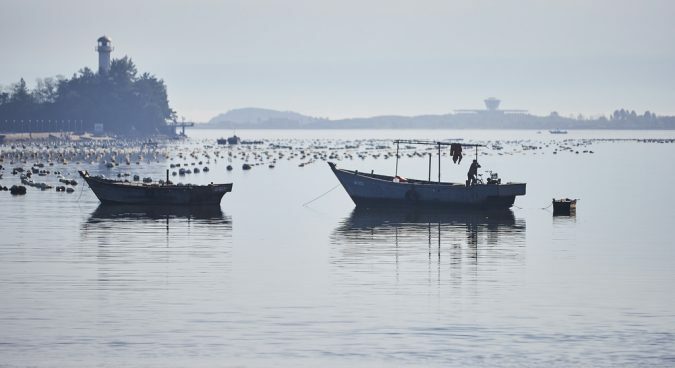 Historically, China’s largest fishing yields in North Korea’s East Sea came in 2014, when Chinese fishermen brought in between 205,135 and 310,352 tons, Lee calculated. Subscribe to read the remaining 585 words of this article. 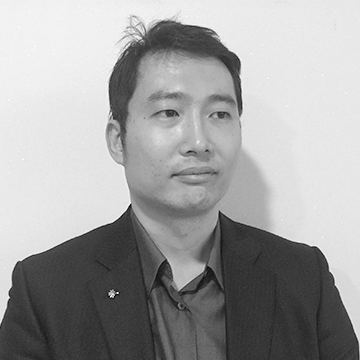 Seungmock Oh was an NK News correspondent based in Seoul.